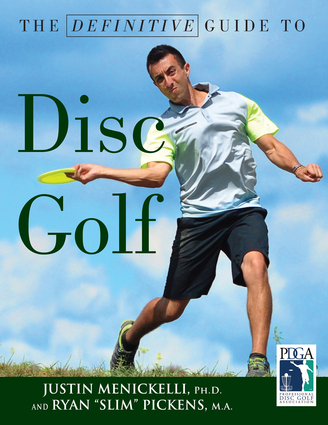 In this excerpt from a soon-to-be-released disc golf book targeting non-disc golfers, the considerable environmental impact of ball golf course development and maintenance is contrasted with the relatively invisible footprint of most disc golf courses. Consider the resources demanded by a ball golf course located in the middle of a desert wasteland. 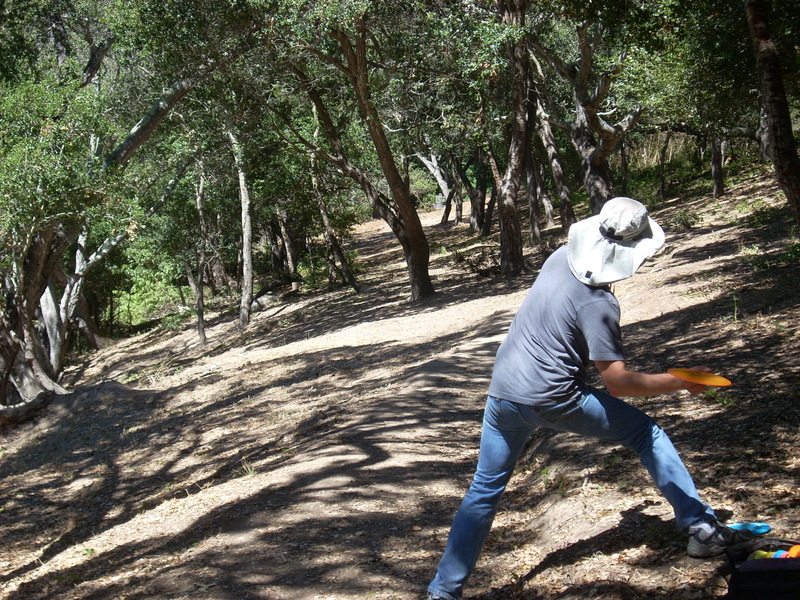 A disc golf course on the same piece of land, on the other hand, would involve nothing except strategically-placed targets and tees. Virtually no manipulation of the landscape whatsoever. And no watering. I hope you enjoy the read, follow the links and post comments below. 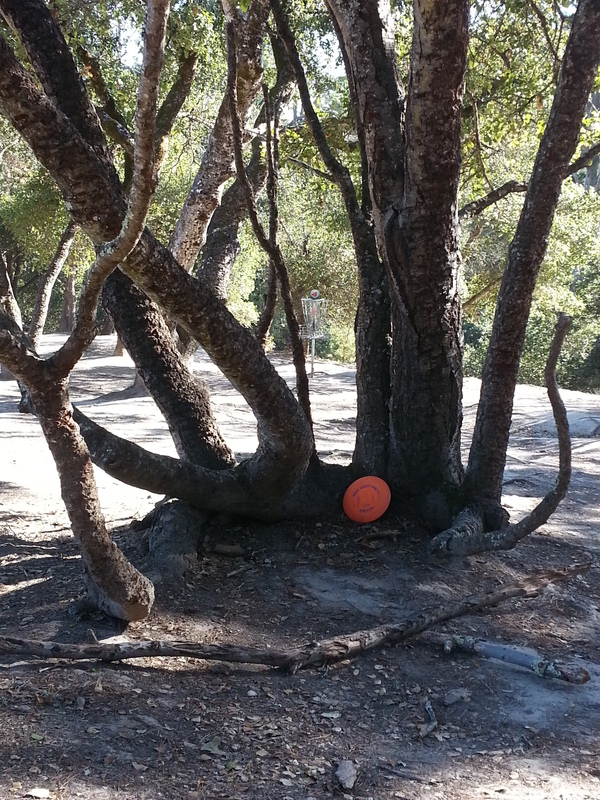 As shown on this shot from the fairway of hole #3 at Pinto Lake DGC in Watsonville, CA (site of the 2011 PDGA World Championships), disc golf can be played on severe slopes and any type of ground cover- in this case bare dirt with a severe right-to-left slope. Traditional golf attracts criticism from environmentalists for two primary reasons: water and pesticides. Prodigious amounts of both are used each week by U.S. golf courses to keep fairways and greens lush, green, and free of weeds. The more radical line of thinking is that the environmental impact on such large areas for the benefit – and recreational benefit at that – of so few is unconscionable. Even a good percentage of golf enthusiasts polled on the subject of golf and the environment tend to agree that course owners and greenskeepers need to modify maintenance practices. As part of a comprehensive report on golf and the environment in 2008 written by John Barton, Golf Digest magazine conducted a survey with the purpose of determining the opinions of golfers as compared to the general population. When asked if Pesticides used on a golf course creates a potential health hazard for humans, 40 percent of the golfer group responded yes (compared to 66 percent of the general population group). That says two things: Two-thirds of the general population think that the pesticides used on traditional golf courses are likely hazardous and even close to half of all golfers are willing to admit it; yet their reasons for wanting to play the game are so compelling that they don’t care. They’ll take their chances! To the poll question “Should the amount of water used on golf courses only be enough to keep the grass alive, not make it green and lush?” 44 percent of golfers said yes. Pay attention to this one not only to the reply (most golfers still want their course green and lush, whatever it takes) but to the particular wording of the question. ‘ . . . enough to keep the grass alive . . . ” How much is that, exactly? And why is keeping the grass alive necessary if it isn’t going to be esthetically pleasing? Dead grass comes back every Spring. The answer to the first question is hard to nail down, as the difference between ‘alive’ and ‘lush and green’ is entirely subjective. But the answer to the second question is more illuminating and goes directly to why golf will always be a concern – and, therefore, a barrier – to certain environmentalists. Thick grass, mowed (emissions from maintenance equipment are another concern of environmentalist) at a consistent height is essential to the game of golf because players hit the ball from wherever it lands. They expect a reward for keeping the ball in the fairway in the form of a clean shot at the ball as it lies atop the perfect grass. And greens, where players putt the ball at the hole, are supposed to be kept so short and uniform that the ball will roll straight and smoothly with a slight tap of the club. 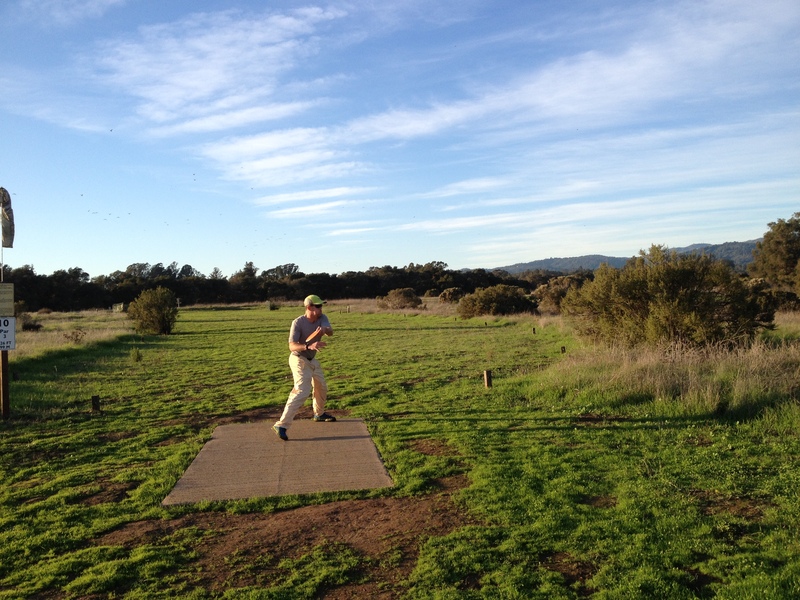 To get a better idea of how important this manipulation of the land is to the game of traditional golf, think of your favorite natural open space park. Now imagine people trying to play golf there, hitting their balls from amongst the dirt, brush, tall native grasses or bushes and clustered trees. Not to mention finding the ball after each shot. In the Golf Digest story mentioned above, five different people with different perspectives on golf and the environment were interviewed. 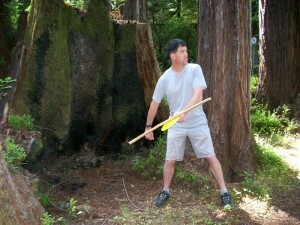 One of them was a noted environmentalist named Brent Blackwelder, who is also an avid golfer. According to Barton, Blackwelder is one of America’s most prominent environmental advocates and has testified before Congress more than 100 times. He is also past president of Friends of the Earth and now president emeritus of the same. “You’d be playing on an organic course. The maintenance equipment would be charged by solar power. Recycled water would be used for irrigation, and used efficiently and sparingly. There’d be a great variety of wildlife habitats. This idea that you’ve got to make everything look like a miniature golf course with a green carpet is crazy. It’s the same problem that we see with these lawn fetishes—all the water and chemicals and energy that are used for a lawn that just sits there. So let’s get back to the rugged qualities of the game. People ought to read the history of golf. 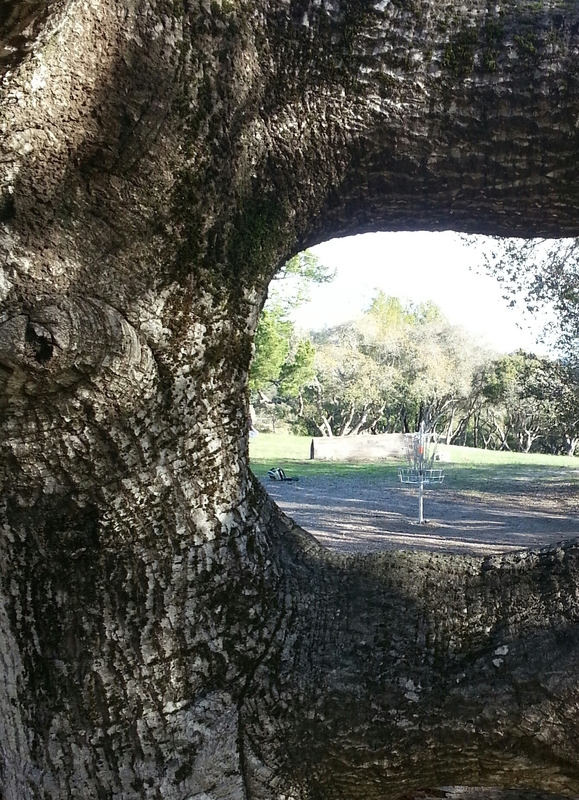 The utopian golf experience that Blackwelder describes as “golf in a perfect world” is already a reality, and it’s even better from an environmentalist’s perspective than he’s imagining. It may not be the golf he grew up playing, with clubs and balls on 150 acres of heavily manipulated land. But it can be played on virtually every type of terrain with hardly any alteration required, and zero watering or pesticides. As this book aims to demonstrate indisputably, players get the full golf experience – the mental challenge, the constant risk/reward equation to solve – while in an entirely natural, native, organic environment. They may not realize it, yet, the growing number of people like Blackwelder who see great value in the game of golf but also feel a strong obligation to minimize human impact on the planet. 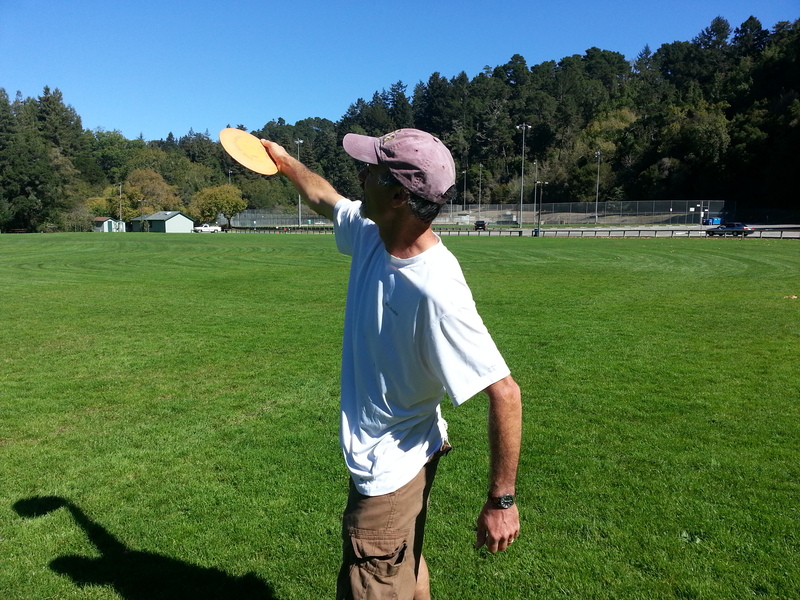 Disc golf is the Utopian golf experience. 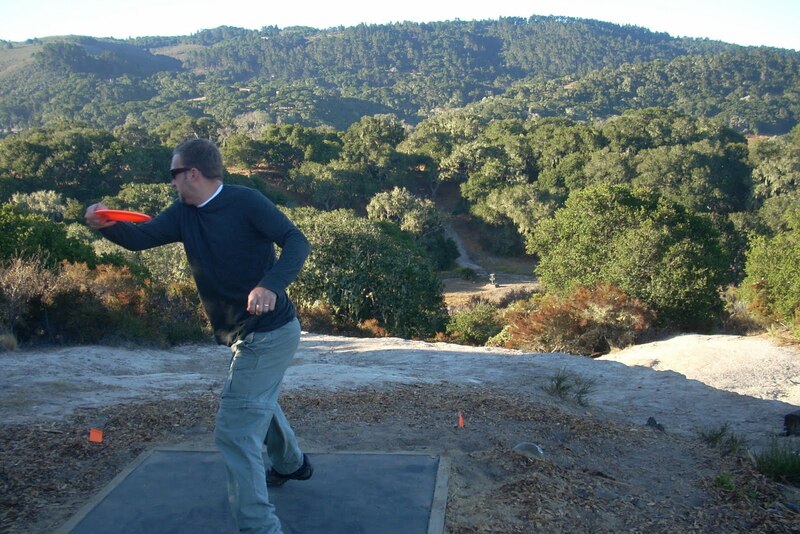 It requires one-third the land of a ball golf course, and rather than being carved out of a local natural habitat, a disc golf course can completely conform to it. No watering and no pesticides needed.